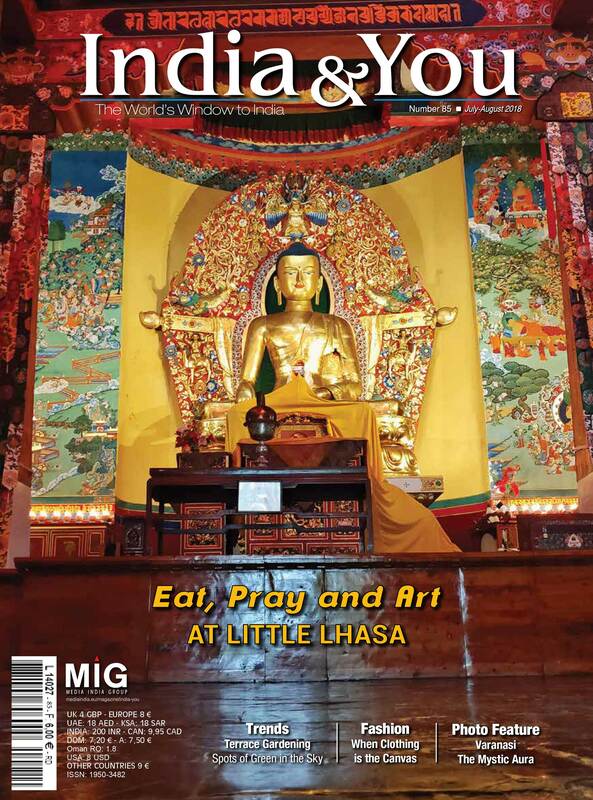 This issue of India & You offers exciting content revolving around the various traditional and iconic locations of India. We covered tangible and intangible heritage values of India. The country is well known and documented for the rich cultural, social and historical heritage spanning centuries. India has perennially been a melting pot of cultures and ethos from across the globe, cutting across eras. The confluence has created a treasure trove of architectural, spiritual and linguistic marvels, strewn across the vast landscape. Also notable is the religious amalgamation through times, resulting in the rich heritage, which in most cases is found only in the Indian subcontinent. Individualistic and creative, wearable art does not follow any particular aesthetic criteria and stands out as a creative expression of individual artists. Nandita Richie is one such visual artist bringing out her art on wearables, thus introducing something new to both the fashion and creative markets. Jammu Tourism is primarily focusing on domestic tourists from north, central and south India. The tourism department is also promoting adventure sports, including hiking and trekking, for national and international tourists. In the daily chaos of city life, a spot of greenery is what all eyes desire. But lack of space often prohibits adequate planting of trees in urban spaces. Hence, as in the rest of the world, India, too is seeing growth of terrace gardens set amidst the skyscrapers. While most do it to beautify their homes, for some it is also about going organic and taking little steps towards mitigating pollution.